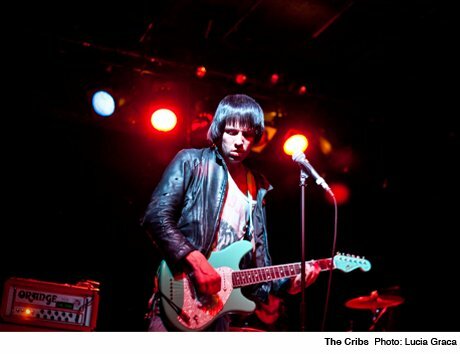 Having offered up "high energy with a decent dose of bravado and a heavy helping of Yorkshire accents" at their show in Toronto last week, English pop rock outfit the Cribs have unveiled another series of North American shows in support of their upcoming In the Belly of the Brazen Bull. Another quickie trip across North America, their second this year, will take place in June. Of the ten dates announced, just one will take place in Canada. Vancouver fans will be able to check the group out at Venue on June 18. While In the Belly of the Brazen Bull, the troupe's fifth album overall and first since former Smiths six-stringer Johnny Marr left the group, was set to arrive May 8 through Wichita, the release has now been pushed to May 15. The Cribs "Burning for No One"
The Cribs "An Ivory Hand"